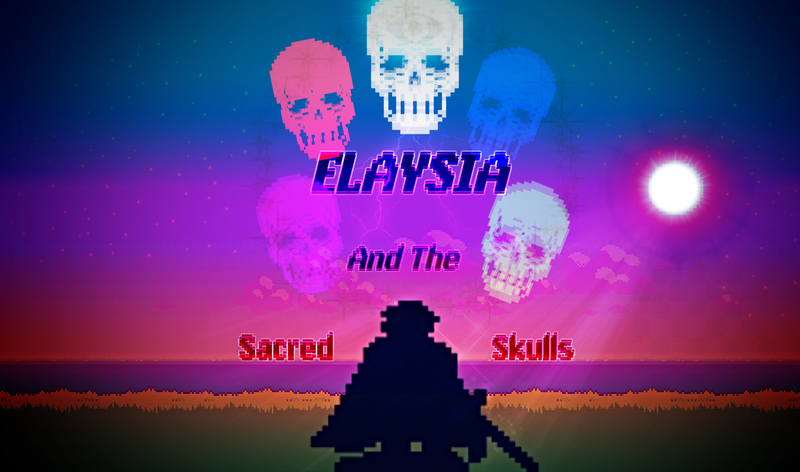 .Elaysia : The Sacred Skulls. Description Play as a young hero Going through a strange place called elaysia. Battling the corrupted animals and people. You need to find a the Sacred Skulls and lift the corruption of elaysia. HUGE NOTE The main story is told yet in Version 3 It is mainly a map showcase and battle system Demo. All save Data will be able to be brought from this version over to version 4. Version 3 ______ Battle system 3 enemies Gloom town Oieka Village (Snow Section) Delma Mountain side (Mountain side) All costumes. Day to night system. 27 Color schemes. Music (Credit to the lovely helpers in the music ❤) Version 4 ___________ Hopefully big announcement (other platforms) All enemies 2 boss fights. All items. Iona desert. Moon (Playable locations) All shops/INNS. All elements working. 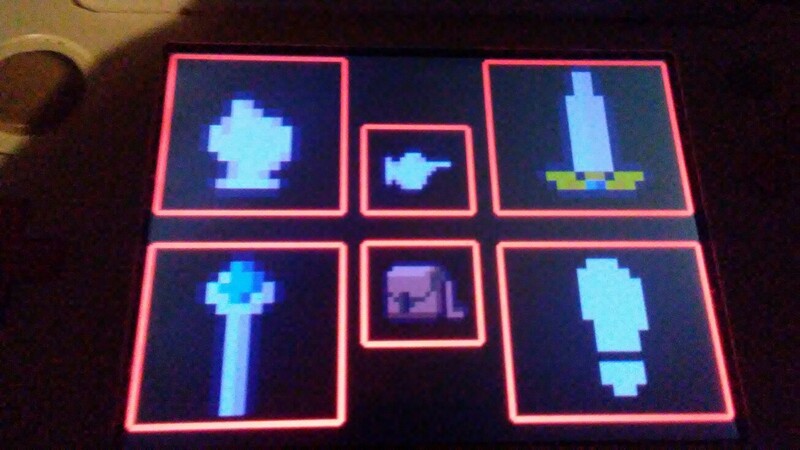 Armor/Weapons. Thanks for playing ❤❤❤ Possible contest coming soon. Instructions Press Y when the text box is up. Press A if it isn't (Text) Press B to run. Use the Cpad to toggle the controls. Use the button in the top right hand corner to Save. Use the button in the lower right hand corner to toggle music. (WARNING ATTEMPTING TO OPEN THE BAG IN VERSION 3 WILL CRASH THE GAME) Use the Circle Pad to move. 47 Comment(s) Z_E_R_O Intermediate Programmer I can make programs, but I still have trouble here and there. Programming Strength Night Person I like the quiet night and sleep late. Express Yourself Zelda Is Awesome! I love The Legend Of Zelda! Express Yourself 8 months ago Hope people are still interested. Elaysia full release coming in a week or so. random_god Intermediate Programmer I can make programs, but I still have trouble here and there. Programming Strength Zelda Is Awesome! I love The Legend Of Zelda! Express Yourself Video Games I like to play video games! Hobbies 8 months ago Cool. I'm interested. Z_E_R_O Intermediate Programmer I can make programs, but I still have trouble here and there. Programming Strength Night Person I like the quiet night and sleep late. Express Yourself Zelda Is Awesome! I love The Legend Of Zelda! Express Yourself 8 months ago Thanks man! That actually gives me motivation. HTV04 Intermediate Programmer I can make programs, but I still have trouble here and there. Programming Strength Avatar Taboo I didn't change my avatar for 180 days Website Second Year My account is over 2 years old Website 8 months ago I’m interested too! Just seeing the title screen gives me chills (in a good way, of course)! Can’t wait for the final release! Z_E_R_O Intermediate Programmer I can make programs, but I still have trouble here and there. Programming Strength Night Person I like the quiet night and sleep late. Express Yourself Zelda Is Awesome! I love The Legend Of Zelda! Express Yourself 8 months ago Thank you. I've made a bunch of improvements! GreedyGoat8 Intermediate Programmer I can make programs, but I still have trouble here and there. Programming Strength Avatar Block I didn't change my avatar for 30 days. Website Disguised Hidden Website 8 months ago VICTORY SCREEEEEEEEEEEECH NecroStudios 8 months ago What do you mean by a Unreal Engine release? Is this coming to PC? Z_E_R_O Intermediate Programmer I can make programs, but I still have trouble here and there. Programming Strength Night Person I like the quiet night and sleep late. Express Yourself Zelda Is Awesome! I love The Legend Of Zelda! Express Yourself 8 months ago Yes I have been working for months on this project and if everything turns out right in the next few days I should have further update on the state of Elaysia Unreal. Z_E_R_O Intermediate Programmer I can make programs, but I still have trouble here and there. Programming Strength Night Person I like the quiet night and sleep late. Express Yourself Zelda Is Awesome! I love The Legend Of Zelda! Express Yourself Edited 10 months ago Demo coming out soon. 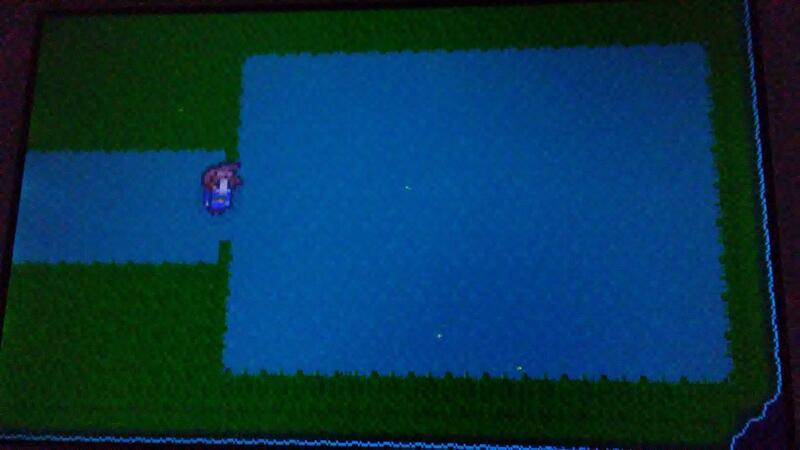 Demo will include : Complete battle system. New enemies. New areas. (UPDATE ON UNREAL ENGINE RELEASE) much more! Thanks for your patience. random_god Intermediate Programmer I can make programs, but I still have trouble here and there. Programming Strength Zelda Is Awesome! I love The Legend Of Zelda! Express Yourself Video Games I like to play video games! Hobbies 10 months ago i cant use items. have thoes not been added? the only one that has an effect is the bag, which crashes the game. help? Z_E_R_O Intermediate Programmer I can make programs, but I still have trouble here and there. Programming Strength Night Person I like the quiet night and sleep late. Express Yourself Zelda Is Awesome! I love The Legend Of Zelda! Express Yourself 10 months ago Items haven't been added in this version. And the bad does crash the game. Sorry for that. It won't be long till the version. random_god Intermediate Programmer I can make programs, but I still have trouble here and there. Programming Strength Zelda Is Awesome! I love The Legend Of Zelda! Express Yourself Video Games I like to play video games! Hobbies 10 months ago thx for the info. spaceturtles Video Games I like to play video games! Hobbies Avatar Block I didn't change my avatar for 30 days. Website Intermediate Programmer I can make programs, but I still have trouble here and there. Programming Strength 10 months ago Lacks but still good. Nice animations. Debug info can still be seen Z_E_R_O Intermediate Programmer I can make programs, but I still have trouble here and there. Programming Strength Night Person I like the quiet night and sleep late. Express Yourself Zelda Is Awesome! I love The Legend Of Zelda! Express Yourself 10 months ago Damn. I meant to get rid of the debug. Sorry about that. Thank you! Plancake Intermediate Programmer I can make programs, but I still have trouble here and there. Programming Strength Video Games I like to play video games! Hobbies Reading I like to read books! Hobbies 10 months ago Downloading it right now, I can tell its going to be good! Z_E_R_O Intermediate Programmer I can make programs, but I still have trouble here and there. Programming Strength Night Person I like the quiet night and sleep late. Express Yourself Zelda Is Awesome! I love The Legend Of Zelda! Express Yourself 10 months ago Thank you! I hope you enjoy it! 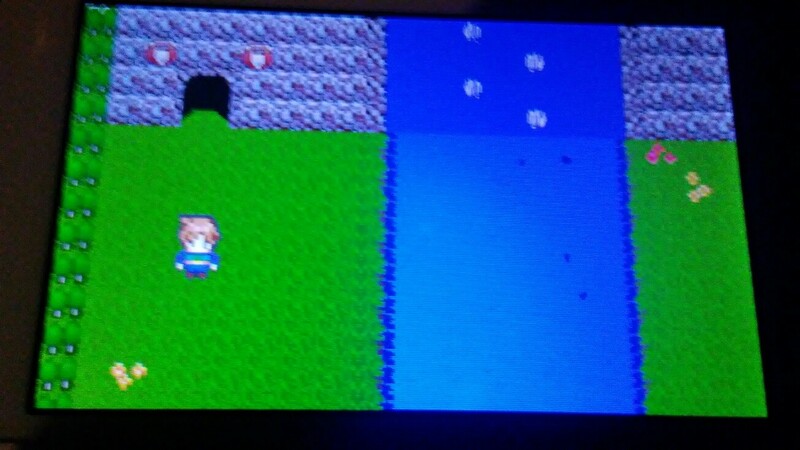 Sorry for the lack of gameplay random_god Intermediate Programmer I can make programs, but I still have trouble here and there. Programming Strength Zelda Is Awesome! I love The Legend Of Zelda! Express Yourself Video Games I like to play video games! Hobbies 10 months ago key is invalid. Z_E_R_O Intermediate Programmer I can make programs, but I still have trouble here and there. Programming Strength Night Person I like the quiet night and sleep late. Express Yourself Zelda Is Awesome! I love The Legend Of Zelda! Express Yourself 10 months ago Sorry about that Ill have a new one up tonight. I had a problem and had to take the key down. Ill give you the key at around 7 I'm making tweeks. Before the next update. Z_E_R_O Intermediate Programmer I can make programs, but I still have trouble here and there. Programming Strength Night Person I like the quiet night and sleep late. Express Yourself Zelda Is Awesome! I love The Legend Of Zelda! Express Yourself 10 months ago There ya go random_god Intermediate Programmer I can make programs, but I still have trouble here and there. Programming Strength Zelda Is Awesome! I love The Legend Of Zelda! Express Yourself Video Games I like to play video games! Hobbies 10 months ago thx Z_E_R_O Intermediate Programmer I can make programs, but I still have trouble here and there. Programming Strength Night Person I like the quiet night and sleep late. Express Yourself Zelda Is Awesome! I love The Legend Of Zelda! Express Yourself 10 months ago Np Z_E_R_O Intermediate Programmer I can make programs, but I still have trouble here and there. Programming Strength Night Person I like the quiet night and sleep late. Express Yourself Zelda Is Awesome! I love The Legend Of Zelda! Express Yourself 10 months ago Z_E_R_O Intermediate Programmer I can make programs, but I still have trouble here and there. Programming Strength Night Person I like the quiet night and sleep late. Express Yourself Zelda Is Awesome! I love The Legend Of Zelda! Express Yourself 11 months ago Z_E_R_O Intermediate Programmer I can make programs, but I still have trouble here and there. Programming Strength Night Person I like the quiet night and sleep late. Express Yourself Zelda Is Awesome! I love The Legend Of Zelda! Express Yourself 11 months ago Hello everyone of the SmileBasic Community. I wanted to take some time out of this day to say thank you to everyone that has shown support to my projects. It truly means a lot. You have brightened my days. This community is one of the best I have ever been apart of. So thank you. Sadly, in coming days I will be taking a break from programming and anything else. Because I'm making a change in my life and hopefully getting away from a very bad situation. If everything goes okay I will post the next update to Elaysia in a month or so. I truly thank everyone for their great support, Thank you! I cannot wait to play all of the games that will be posted when I get back. (Sorry for the long post.) Z_E_R_O Intermediate Programmer I can make programs, but I still have trouble here and there. Programming Strength Night Person I like the quiet night and sleep late. Express Yourself Zelda Is Awesome! I love The Legend Of Zelda! Express Yourself 11 months ago Y3AKXJNF New update :) Z_E_R_O Intermediate Programmer I can make programs, but I still have trouble here and there. Programming Strength Night Person I like the quiet night and sleep late. Express Yourself Zelda Is Awesome! I love The Legend Of Zelda! Express Yourself Edited 11 months ago Update Tomorrow Thanks For Being Patient. Z_E_R_O Intermediate Programmer I can make programs, but I still have trouble here and there. Programming Strength Night Person I like the quiet night and sleep late. Express Yourself Zelda Is Awesome! I love The Legend Of Zelda! Express Yourself 11 months ago What should I put in the top left of the screen? 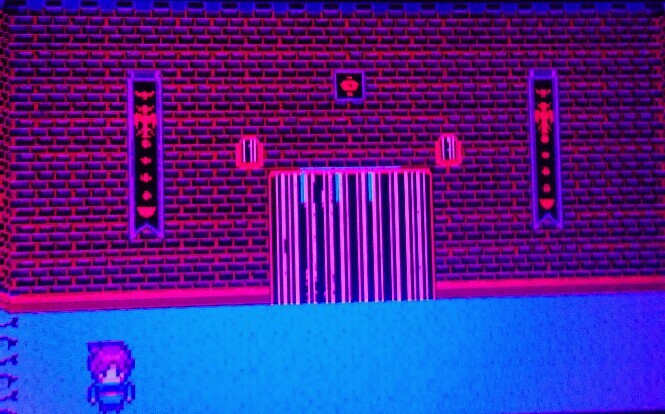 The mini map is to the right The quick access and costumes are to the lower right and the music controls are to the bottom right so I'm lost as to what to put there. spaceturtles Video Games I like to play video games! Hobbies Avatar Block I didn't change my avatar for 30 days. Website Intermediate Programmer I can make programs, but I still have trouble here and there. Programming Strength 11 months ago You could put art stuff there. Z_E_R_O Intermediate Programmer I can make programs, but I still have trouble here and there. Programming Strength Night Person I like the quiet night and sleep late. Express Yourself Zelda Is Awesome! I love The Legend Of Zelda! Express Yourself 11 months ago I was thinking sense there are missions I could add the description of the mission there. 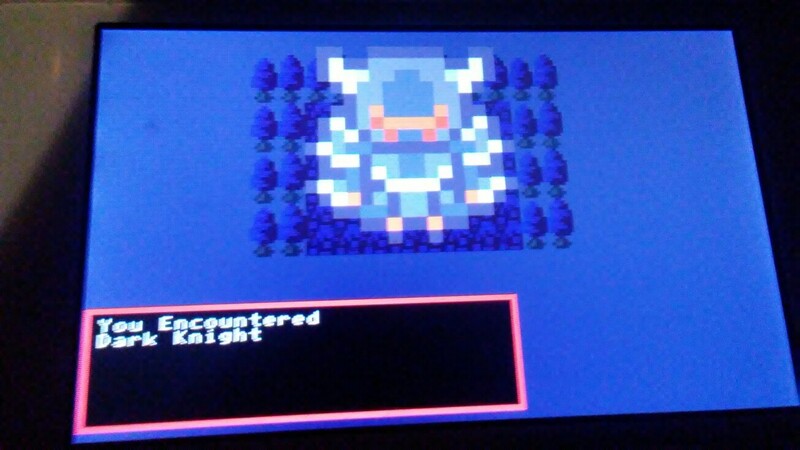 IAmRalsei Forum Leader Hidden Achievements First Year My account is over 1 year old Website Expert Programmer Programming no longer gives me any trouble. Come to me for help, if you like! Programming Strength 11 months ago that would be a good idea Z_E_R_O Intermediate Programmer I can make programs, but I still have trouble here and there. Programming Strength Night Person I like the quiet night and sleep late. Express Yourself Zelda Is Awesome! I love The Legend Of Zelda! Express Yourself 11 months ago I will be gone for a few days but I will be coding. Choose some biomes! 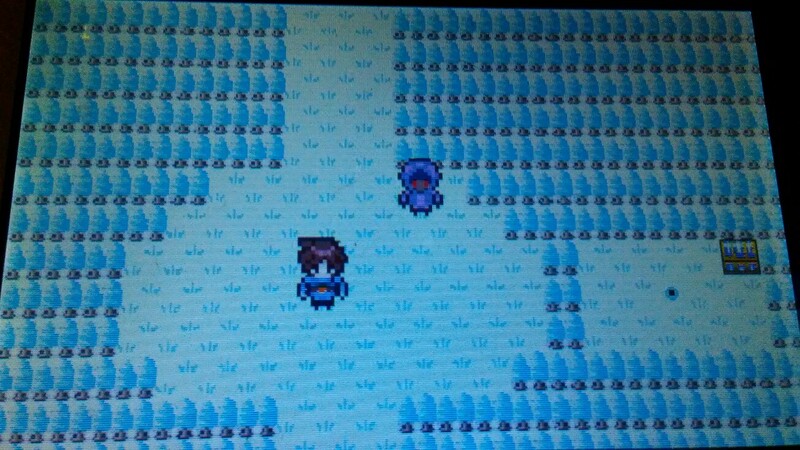 (Note : Tundra, Dessert, Mines are already confirmed. Only a few of the above optional biomes will be in the game. Poll closes in 3 days) spaceturtles Video Games I like to play video games! Hobbies Avatar Block I didn't change my avatar for 30 days. Website Intermediate Programmer I can make programs, but I still have trouble here and there. Programming Strength 11 months ago Yes! IwannaMARHZ! But a "past dimension" sounds cool and it could introduce some interesting mechanics such as going back in time to stop yourself from opening the wrong door or something or if you go back in time and do the wrong thing it puts you back some time or something like that. Z_E_R_O Intermediate Programmer I can make programs, but I still have trouble here and there. Programming Strength Night Person I like the quiet night and sleep late. Express Yourself Zelda Is Awesome! I love The Legend Of Zelda! Express Yourself 11 months ago The past would take place in gloom town and you would go back a thousand years for a special surprise. The dimension would be... I don't even know. After life you would go to meet a god. The future would take place a thousand years into the future. IAmRalsei Forum Leader Hidden Achievements First Year My account is over 1 year old Website Expert Programmer Programming no longer gives me any trouble. Come to me for help, if you like! Programming Strength 11 months ago the dimension could be a dimension like the nether, sky or end from minecraft (the sky was a cancelled dimension that was supposed to be the opposite of the nether, that was replaced with the end. before 1.9, the end's biome was even called "sky"!) Z_E_R_O Intermediate Programmer I can make programs, but I still have trouble here and there. Programming Strength Night Person I like the quiet night and sleep late. Express Yourself Zelda Is Awesome! I love The Legend Of Zelda! Express Yourself 11 months ago Would anyone be willing to make a rain animation for me? spaceturtles Video Games I like to play video games! Hobbies Avatar Block I didn't change my avatar for 30 days. Website Intermediate Programmer I can make programs, but I still have trouble here and there. Programming Strength 11 months ago One way of doing that is putting random dots using GPSET all over the place and removing them after a certain amount of time but that's not the best kind of rain. 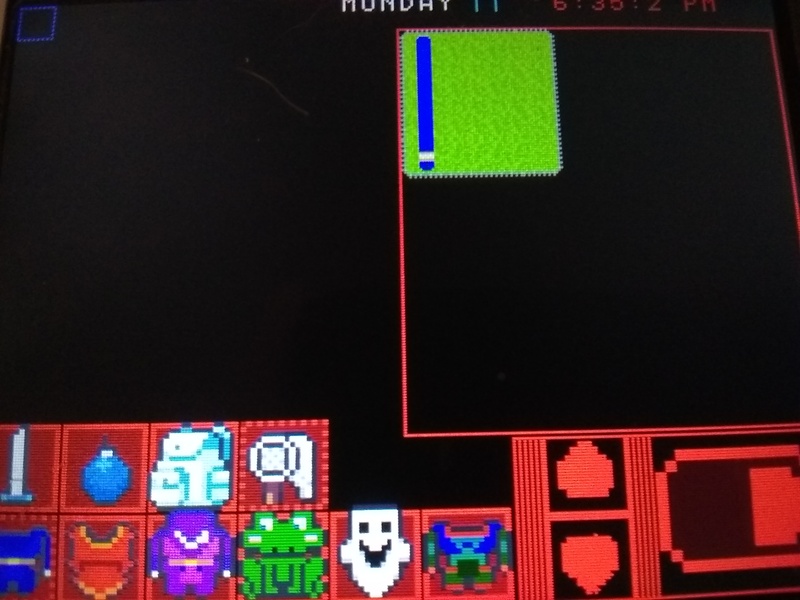 I would suggest making random dots using that method but keeping their X positions and increasing the Y positions until they're off-screen then resetting them but that would look weird. If you make a dot start at the top at the screen (Y=0, X=RND(400)) and increase the Y until it reaches the target random distance then you can clear that dot and replace it with a bunch of randomly-placed dots around where the other dot was for a low quality splash animation before resetting it. If you do that over several more times you'll have a good rain animation for that type of game pov. Z_E_R_O Intermediate Programmer I can make programs, but I still have trouble here and there. Programming Strength Night Person I like the quiet night and sleep late. Express Yourself Zelda Is Awesome! I love The Legend Of Zelda! Express Yourself 11 months ago I think I'm going to try GPSET because I tried to make an animation with a graphic layer and it looked off. I tried for hours to get it right I'm gonna try the GPSET Z_E_R_O Intermediate Programmer I can make programs, but I still have trouble here and there. Programming Strength Night Person I like the quiet night and sleep late. Express Yourself Zelda Is Awesome! I love The Legend Of Zelda! Express Yourself 11 months ago I have one more question. How would I make text go to the top of the screen over everything spaceturtles Video Games I like to play video games! Hobbies Avatar Block I didn't change my avatar for 30 days. Website Intermediate Programmer I can make programs, but I still have trouble here and there. Programming Strength Edited 11 months ago You have to use GPRIO to reorder the graphic displays. You can also use GPUTCHR. DFrost Expert Programmer Programming no longer gives me any trouble. Come to me for help, if you like! Programming Strength 11 months ago I notice the lanterns are in the water in all of the images. The graphics are good Z_E_R_O Intermediate Programmer I can make programs, but I still have trouble here and there. Programming Strength Night Person I like the quiet night and sleep late. Express Yourself Zelda Is Awesome! I love The Legend Of Zelda! Express Yourself 11 months ago Yes the lanterns are in the water they work as decorative street lights. The reason they are in the water is because the correspond to the mines. Thank you! Z_E_R_O Intermediate Programmer I can make programs, but I still have trouble here and there. Programming Strength Night Person I like the quiet night and sleep late. Express Yourself Zelda Is Awesome! I love The Legend Of Zelda! Express Yourself 11 months ago spaceturtles Video Games I like to play video games! Hobbies Avatar Block I didn't change my avatar for 30 days. Website Intermediate Programmer I can make programs, but I still have trouble here and there. Programming Strength 11 months ago See if you can animate whatever you put there. For a fountain I have an idea: Use SPANIM on to animate it and add a hidden button somewhere to make the fountain slide out of the way of a hidden area (a rocket launch silo, a cave, etc.) Z_E_R_O Intermediate Programmer I can make programs, but I still have trouble here and there. Programming Strength Night Person I like the quiet night and sleep late. Express Yourself Zelda Is Awesome! I love The Legend Of Zelda! Express Yourself 11 months ago I love that idea! This version of Elaysia is going to have a smaller map. And I was having trouble figuring out how to transition from the surface to the mine shaft. Thank you! Z_E_R_O Intermediate Programmer I can make programs, but I still have trouble here and there. Programming Strength Night Person I like the quiet night and sleep late. Express Yourself Zelda Is Awesome! I love The Legend Of Zelda! Express Yourself 11 months ago @SpaceTurtles Thanks for the help. I'm using the idea and it's working smoother than expected spaceturtles Video Games I like to play video games! Hobbies Avatar Block I didn't change my avatar for 30 days. Website Intermediate Programmer I can make programs, but I still have trouble here and there. Programming Strength 11 months ago NIce. I wonder what other interesting things will be added. Z_E_R_O Intermediate Programmer I can make programs, but I still have trouble here and there. Programming Strength Night Person I like the quiet night and sleep late. Express Yourself Zelda Is Awesome! 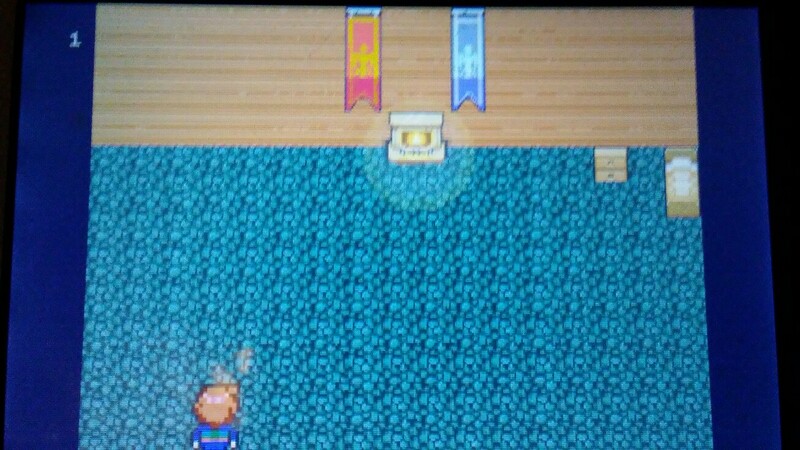 I love The Legend Of Zelda! Express Yourself 11 months ago Hey guys could you give me feedback on the new graphics?